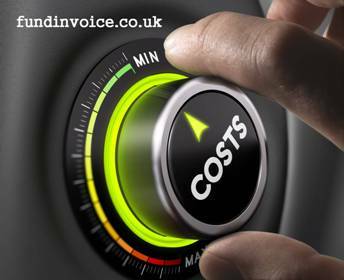 You may be forgiven for thinking that any existing users of invoice finance will have moved providers, and will be benefiting from the lowest prices that are on the market, but that is clearly not the case. This was highlighted in the case of a prospect that we assisted over the last few weeks. They spoke to us regarding an existing invoice financing facility, that was being provided by a bank owned invoice finance company. Now normally, you might expect that the banks will offer very fine rates, and in many cases they do as they tend to have access to funds at cheaper rates that many of the independents. However, this was not the case with this particular prospect who was paying quite expensive fees to his provider. We conducted an invoice finance quote search for them, and we managed to find them an alternative facility which was priced to save approximately 41% of the overall annual cost of their existing facility - a very substantial amount of money that they have the potential to save. It is also true that the cost savings can increase if you are going through a period of high business growth. The reason is that most pricing tends to be linked to the volume of turnover that is transacted i.e. you pay a percentage of the value of the invoices that you raise. This is just an example, but for illustrative purposes let's suppose that you transact £500K turnover, and say the service charge is 1%, you would pay £5K. If you then transact £1M at the same rate, you will pay £10K - so any saving on that percentage will multiply the amount of cash you save as your turnover increases. Discount charge (similar to interest) also tends to be a percentage of the funds in use, hence it will also increase as the business volumes transacted increase i.e. as you raise more invoices, you draw down more funds and the amount of the discount fee incurred increases. Therefore, by driving down the percentages that you are paying for service charge and discount charge, you save money both now and as you grow.